Humid weather can also bring some afternoon showers, it’s called the wet season for a reason, so you’ll also need to consider rain gear. 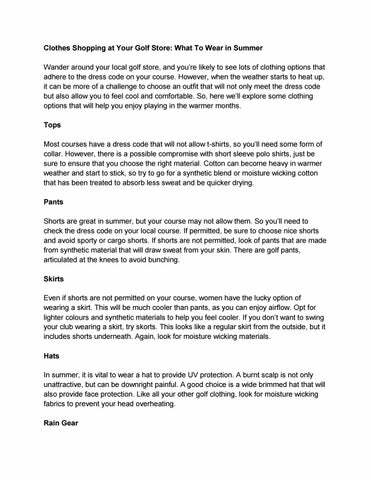 Be sure to pack a large umbrella or a lightweight raincoat in your golf bag. Just be sure to head into the clubhouse if it starts to turn stormy, as you won’t want to get caught outside when the thunder and lightning starts. Don’t Forget Colour Finally, don’t forget to consider the colour of your clothing. Light colours are not only season appropriate, but they also absorb and hold less heat to help you feel cooler. You can easily pair up a white shirt and pants with coloured golf shoes or a funky belt to create a nice look. 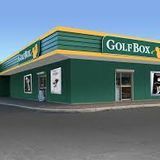 When searching for “golf shops near me,” keep Golf Box in mind. As an established golf store, we offer everything you can expect from a golf shop, and our team would be delighted to answer any of your queries or questions.